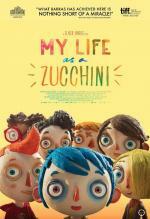 Relying on stop motion animation, My Life as a Zucchini (Ma Vie de Courgette), Claude Barras charming children tale, was the opener of the Directors Fortnight series at the 2016 Cannes Film Fest. Oscar-Nominated for Best Animated Film (Feature). Dany Boon (‘Welcome to the Sticks’) and Fred Cavaye (‘Point Blank’) team up for a comedy about a money-grubbing Frenchman who refuses to change his ways. 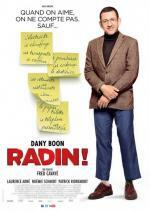 Francois Gautier (Dany Boon) is the ultimate cheapskate, refusing to spend money on anything to the point of obsession. However, his frugal lifestyle is turned upside down when he a girl and a baby enter the mix. France, 1897. Georges, a.k.a. Footit, is a white clown in a traveling circus who’s struggling to reinvent himself. 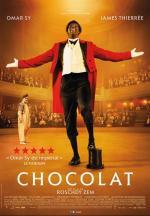 He comes up with the idea of teaming with Katanga, a black clown who is the son of a former slave. As a white clown acting as a figure of authority with the black clown as a scapegoat, they enjoy immediate success. “Nathalie (Isabelle Huppert) is a philosophy professor, as is her husband, Heinz (André Marcon).